Matthew D. Kaplan not only understands the legal issues, but also the medical and life altering challenges victims of SCI may face. If you or a loved one is suffering from a significant spinal cord injury as a result of another's negligent conduct it is important to hire an attorney as soon as possible. Our office will help in getting the proper experts involved to make sure your case is properly represented in a court of law. The spinal cord can be divided into three areas; the cervical, (neck area) thoracic (mid back) and the lumbar (lower back). 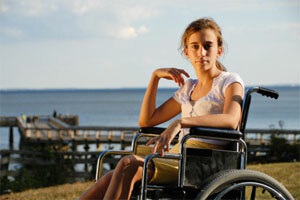 Spinal injuries can take on a variety of manifestations, some being more serious than others. These injuries include bruising, compression fractures, lacerations (severing or tearing of nerve fibers) and damage to the central spinal cord. The latter more significant spinal cord injuries can render the victim either a paraplegic or a quadriplegic. This can mean not only the loss of use of the arms and legs, but other basic motor functions can be affected, such as breathing, bladder and bowel control, and sexual dysfunction. Compression fractures occur when a traumatic event causes the bone of the spinal column to compress onto the spinal cord. This can be more painful and serious if nerves are impacted. Bulging discs are a common injury from a motor vehicle crash or a fall. The spine is made up of boney material called vertebrae. In between the vertebrae are gelatinous discs. These discs allow the spine to have flexibility. A traumatic event can cause a bulge within one of these discs. The pain and effect of a bulging disc usually depends on if the bulge impinges upon the spinal column. Typically a person will have pain radiating into another part of the body depending upon where the bulge is compressing on the spinal column. Herniated discs occur when a disc is perforated or desiccated. This typically leads to nerve compression and causes a great deal of pain. Disc injuries are generally not seen on x-rays because the tissue is not hard or dense enough to show up. If you are experiencing radiating symptoms you should request a CT scan or a MRI. Discs ay be displaced and or protrude from normal position causing a compression of ligaments, nerve roots, blood vessels and / or spinal cord. The results can be a great deal of pain, paralysis, and even death.